You may be sitting in a chair while reading this. The energy you're using to maintain your position in this chair is just enough to hold the body structure in that sitting position. Any less energy and you would slide off the chair and onto the floor. If you were to use excessive energy you would be sitting ramrod straight with muscles excessively contracting to maintain this excessive posture. The first example is energy deficient. Had you used less energy than was required for sitting in the chair you would have slid off the chair, in other words you didn't use sufficient energy to achieve your aim, which was sitting in the chair. The second example is energy excessive. This is more commonly known as tension. We've used more muscle than the action of sitting required, but both cases represent imbalance. Basically if you are using the exact amount of muscle that is required for the action that you are performing and that is a constant state change. Then you are RELAXED. 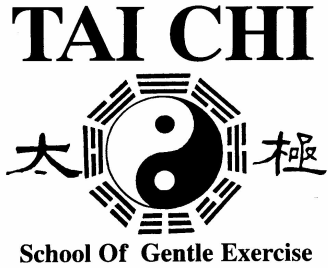 Balance by definition is only using what is required, no more, no less, neither excessive nor deficient, and T'ai Chi places a very heavy emphasis on the importance of maintaining balance and harmony. Another example would be driving your car and you're running late for that important appointment. The passenger comments on how tight and high your shoulders look. The first thing we do is send your awareness in the vicinity of shoulders, acknowledge the excessive muscle use, and then consciously disengage the offending muscles. The shoulders automatically drop a few centimeters and the car is now easier to steer, harmony has returned to your environment (or a relaxed state for driving has been achieved). Your immediate environment was driving the car, the energy you're using is now in harmony with the energy that is required for driving. Balance has been achieved. Relaxation is essentially about being in balance or in harmony with our immediate environment and our relationship with that environment. An old saying in T'ai Chi comes to mind, "There is only one thing more important than knowing which muscle to use, and that's knowing which muscle not to use".